By: Elaine Simpson Founder: Occupancy Solutions LLC. Your big focus for the year is to get your occupancy rates up. This is something many communities focus on throughout the year. After all, a single apartment that is not filled is one that you are losing money on. It does not matter if it is just that one unit you are working on filling or if you have an entire new wing to worry about, you need your team to work together to make the process of getting people in the door easier. There are plenty of ways to do this. You can use competition, goals, or just plan great work to achieve those rates. Before you can establish goals, you need to establish what’s wrong. What factors are limiting your success in filling your building? It may be hard to pinpoint that one thing that is holding you back, but it is essential to talk to every one of your team members to learn what their feedback is. Outline specific areas of interest. Does your property compete well with others in the area? If not, what factors are items you can change? Does your property appeal to everyone? Why or why not? What can you do to change this? Does your property have social or communication problems? What is causing people to leave? What can you do about this issue? What are you doing to encourage a better brand image? Outline what your specific areas of concern are after talking to your team. It is important to know what you are up against before you can take a step forward. occupancy rate. Once you know what each member of your team needs to do to help you earn that goal, create objectives for those people. Keep in mind, though, that you need to create fair goals for everyone. This includes for your property managers, leasing professionals, and maintenance teams. 1. Outline specific goals for each person or team. Ensure that these goals are fitting for each person. 2. Be sure to note exactly what the person needs to do to achieve their goal. Don’t just state “improve landscaping.” Outline what specifically needs to be accomplished. 3. Every step or objective needs to be specific, outlined, and understood by the person who will be doing it. 4. You need to have a measurable way of tracking success. Whether you want your leasing manager to make 5 cold calls a day or you want your property manager to meet with area planning commissions, you need to ensure the goals are measurable so you can track success. 5. Work closely not just to encourage and support them, but also to understand their needs and to learn what they are finding out throughout the process. Most importantly, you want to be their motivator since their achievement is going to help your business. Once you have a plan in place, put it into action. You’ll want to set a timeframe for completion and a way to track success. The process takes some work, but it can help you to improve your location completely from just about every aspect. That’s very powerful. Ultimately, you’ll need to work through your team of professionals to achieve your goals (your goals being to improve your occupancy rates by working towards improving the areas of need you’ve outlined above.) You need to create an incentive plan or some type of reward or competition to get people focused on achieving these goals. You are paying your employees a salary right now. If you want them to work harder and help you achieve this goal, encourage them to work towards earning the bonus or other incentive you plan to offer. Give them more than just saying thank you. To really drive them, pit them against each other in a competition. However, to do this, you’ll need to carefully consider every aspect of the process. What you offer to your employees working to achieve these goals is really up to you. It should be something people will work hard to earn. They have to want it. You also should specifically state what it is they will earn, how it will be earned, and when it will be earned. Don’t leave out these details and find yourself scrambling to meet everyone’s expectations. In addition to providing incentives for this type of competition and motivational approach, you should also consider the benefits of improving communication. Encourage your employees to talk to you openly about what they think your community needs to improve. Encourage new marketing ideas and methods. Include the entire site team when discussing marketing ideas and methods. By including maintenance, you will be able to tap into their experiences at other properties as well as help them understand their role in the goal. Be sure to communicate with your employees about the importance of the success of this promotion or activity. The bottom line is that improving occupancy rates helps them and keeps them in their jobs. Be sure they understand the importance of the process. Track progress and share it. Meet with people throughout the process to ensure they know what they are doing and what they could be doing better. This isn’t the type of process that you give people objectives and wait for them to achieve them. Allow them to work with each other and support each other to achieve their goals. It is often necessary to encourage good interaction with your staff throughout this process. Is a competition going to work for you? This depends on how you structure it and what steps you take to ensure it is a success. Most importantly, you need to ensure that everyone involved is very much motivated to help your organization to succeed not just to reach a prize or incentive level but also to help it to grow and to flourish for years to come. 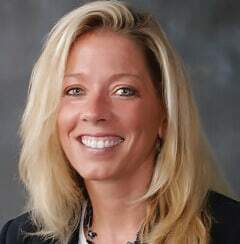 With over 26 years of experience in the multifamily industry, Elaine Simpson founded Occupancy Solutions, LLC to provide site operations, marketing, leasing consulting and training services for multifamily professionals of market rate, senior and affordable housing communities throughout the United States. Occupancy Solutions, LLC, recognizes and tailors to the unique operational, marketing and leasing challenges faced by their clients to assist distressed communities with proven cost effective techniques and strategies to achieve optimal occupancy while realizing ideal rents and reducing expenses. Ms. Simpson is a National Speaker, NAA EI Faculty Member, Michigan licensed real estate broker, a Certified Senior Real Estate Specialist, an Accredited Resident Manager and a Certified Assisted Housing Manager.